We had a mid-week break away from our laptops this evening. Vinny Lingham, of Synthasite, celebrated his birthday at Relish, a trendy and cosy restaurant/bar in Cape Town. 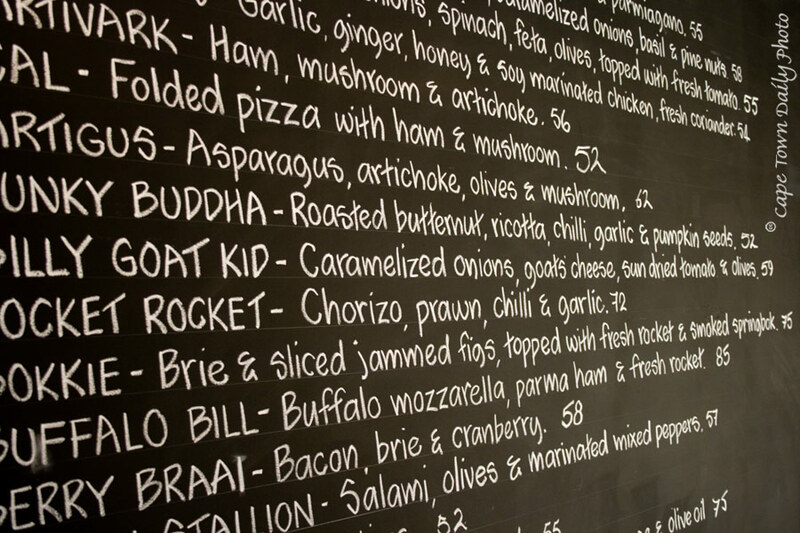 While spending time socialising with friends, I spotted a chalkboard with this really interesting pizza menu on the wall. Click on the photo to read the menu - the combinations of ingredients sound absolutely delicious. Disclaimer: CTDP cannot accept responsibility for the irresistible pizza cravings that you may develop during or after reading this menu. Posted in General on Tuesday, 12 February, 2008 by Paul.